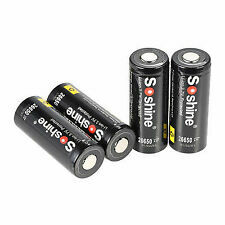 Features: 2x 26650 3.7V Li-ion 6000mAh rechargeable batteries Perfect for Flashlight, Rc toy or electronic gadgets 100% QC Type: rechargeable Capacity: 6000mAh Voltage: 3.7V Chemistry: Li-ion Recharge: up to 1000 cycles ROHS: approved Charge time: 6-8 hrs Size: 67mm * 26mm Package Included: 2 x 26650 Rechargeable Battery. Capacity: 6000mAh. Perfect for Flashlight, Rc toy or electronic gadgets. 100% QC of every battery. If you are unhappy with the item for any reasons. ROHS: approved. Type: Li-Ion 26650. Nominal Capacity: 5000mah(4900-5000mah）. Suitable for laser pointer, flashlight torch and other electronics products. internal resistance: ≤20mΩ. ). Model: ICR 26650. Capacity: 5000mAh. Chemistry: Lithium. PTC internal safety switch automatically disconnected when having short circuit and internal pressure of safety valve can effectively prevent explosion. Capacity: 6800mAh. Model: ICR 26650. Chemistry: Lithium. PTC internal safety switch automatically disconnected when having short circuit and internal pressure of safety valve can effectively prevent explosion. 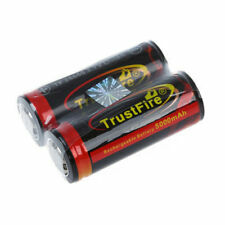 Specifications: 100% brand new 2x 26650 3.7V Li-ion UltraFire 6000mAh rechargeable batteries Perfect for Flashlight, Rc toy or electronic gadgets 100% QC of every battery Type: rechargeable Capacity: 6000mAh Voltage: 3.7V Chemistry: Li-ion Recharge: up to 1000 cycles ROHS: approved Charge time: 6-8 hrs Size: 36mm*26mm Note: It doesn is not suitable for E-cigarettes. Thanks. 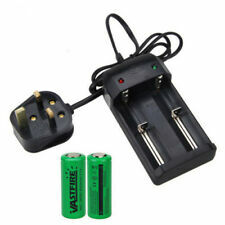 Package Included: 2 x 3.7V 6000mAh Rechargeable Battery. 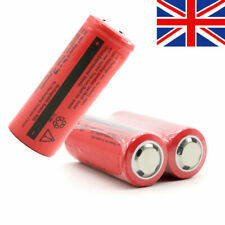 High Power 26650 Rechargeable Li-ion Battery 3.7V 6000mAh for Flashlight Torch UK Seller. Lithium battery, suitable for the following cylindrical lithium-ion battery. Is the red light when charging and turn green, automatic stop filling. Under the influence of light and the display, the color difference may decrease slightly. Battery model: 26650. Battery capacity: 8800mAh. 2 Battery. If you do not receive our reply within 48 hours, pls. Small size and easy to carry. If you are satisfied with our service, pls. Beautiful appearance, charging with elegant. Suitable for multiple battery such as 18650, 26650, 14500, etc. Micro USB port compatible with any USB power and wall adapters, good for travelling. Reverse & polarity and short circuit protection. Perfect for flashlight, rc toy or electronic gadgets. 100% QC of every battery. Keep in a dry and cool place. 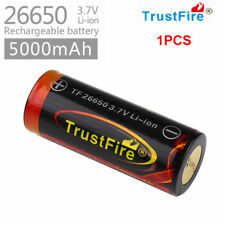 1x TrustFire 26650 5000mAh LiFePO Battery. Battery Capacity: 5000mAh. High energy density, long life battery - With high Battery capacity. - Wide application. Particularly suitable for flashlight, electric tools, electric bicycles, electric vehicles. Capacity: 6800mAh. Model: ICR 26650. PTC internal safety switch automatically disconnected when having short circuit and internal pressure of safety valve can effectively prevent explosion. Chemistry: Lithium. Model: 26650. Capacity: 4000mAh. PCB board and high quality. 2x 26650 Battery. 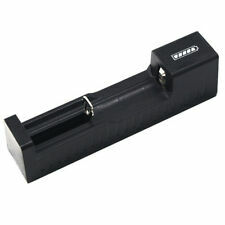 Capacity: 7200mAh. Charging Temp: 0 - 45°C. 1x UltraFire 26650 Green 8000mAh Battery. Perfect for LED Flashlight. Rate (item arrived). Other Countries.